Last year, states across the Midwest enjoyed a near-record harvest. The Cornhusker State played no small part in the effort. Nebraska farmers raised approximately 1.8 billion bushels of corn, a 7 percent increase over the previous year. Hard work, indeed. Yet, farm incomes are down by a whopping 46 percent over the past five years, and they continue to fall. Under normal conditions, Nebraska ethanol producers would be well-positioned to reverse that trend, transforming abundant feedstocks into clean, high-value biofuels. All told, biofuel producers contribute over $5 billion to the state’s economy, providing a market for four out of every 10 bushels of Nebraska corn that is processed at 25 ethanol plants. 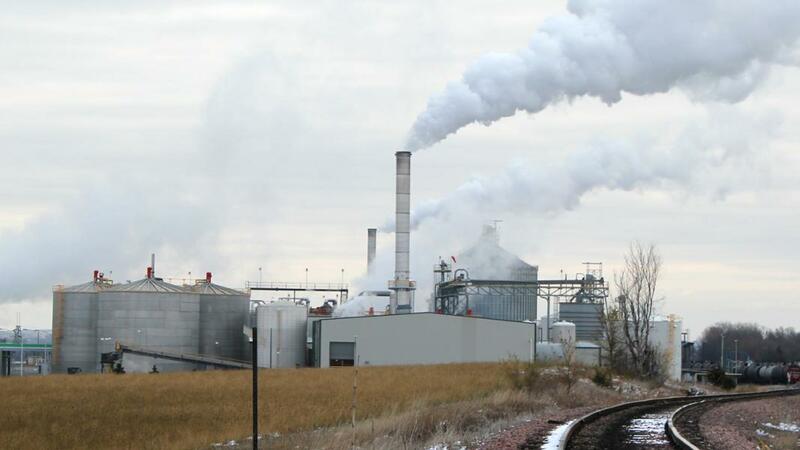 But a prolonged period of depressed prices has forced ethanol plants across the state to take, or at least consider taking, steps to temporarily idle capacity or shutter production. As a result, many farmers could be left with no competitive market for their harvest. This dramatic decline is not a result of market forces. The demand for transportation fuel remains as strong as ever, and nations such as China are looking to use more ethanol-blended fuel to bring down air pollution, just as we have done in the United States. The real attacks on Nebraska farmers and biofuel producers are coming from Washington, D.C.
To his credit, President Donald Trump has stood strong for homegrown biofuels, saying he would “protect the corn-based ethanol and biofuels that power our country.” Unfortunately, the previous administrator of the Environmental Protection Agency decided to go his own way, disregard the president’s policy directives and make decisions that hit ethanol and farmers hard. Under Scott Pruitt’s leadership, the EPA allowed oil refiners to skirt the Renewable Fuel Standard, which ensures a market for non-petroleum fuels. The agency abused so-called hardship waivers intended for small refineries by granting 48 such waivers to wealthy oil conglomerates including Exxon Mobil, a company valued at $20 billion. Combined, the waivers destroyed demand for over 2 billion gallons of ethanol — gallons of demand that may never be restored. Fortunately, the EPA is under new leadership, but it remains to be seen whether acting Administrator Andrew Wheeler can act quickly enough to repair the damage. For example, the president has pledged to lift outdated regulations that restrict sales of E15 during the summer driving season. Despite the partial government shutdown, the new EPA chief promised that a new E15 rule would be in place before restrictions kick in on June 1. But time is running out, and any bureaucratic delays could pull the rug out from underneath Nebraska’s farm economy. Ethanol producers are also watching closely in hopes that Trump can reverse the retaliatory tariffs imposed on U.S. biofuels. Before the trade war, China was the leading destination for U.S. ethanol. Then ethanol exports to China were hit with a 70 percent tariff. Historically, farm crops, ethanol and feed grains have been among America’s most powerful and consistent exports, keeping the nation’s trade deficit in check. Now, many farms are facing bankruptcy as they are cut off from key global markets. Taken together, these challenges represent a bigger threat to Nebraska’s rural economy than any drought or flood in recent memory. But all it takes to turn things around is the political willpower. We need our leaders on Capitol Hill and in the White House to restore the market for homegrown energy. That means ending the handouts to oil companies, opening the market to year-round competition from E15, and tearing down barriers to U.S. exports.